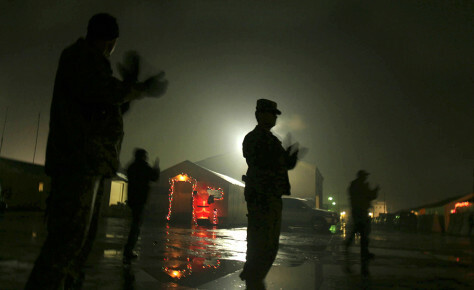 U.S soldiers clap as they listen to Christmas carols at Camp Phoenix in Kabul, Afghanistan, on Sunday. Overseas military bases try to bring a bit of the holiday to soldiers: cafeterias are decorated with Christmas trees. Christmas cards from school kids hang on walls.